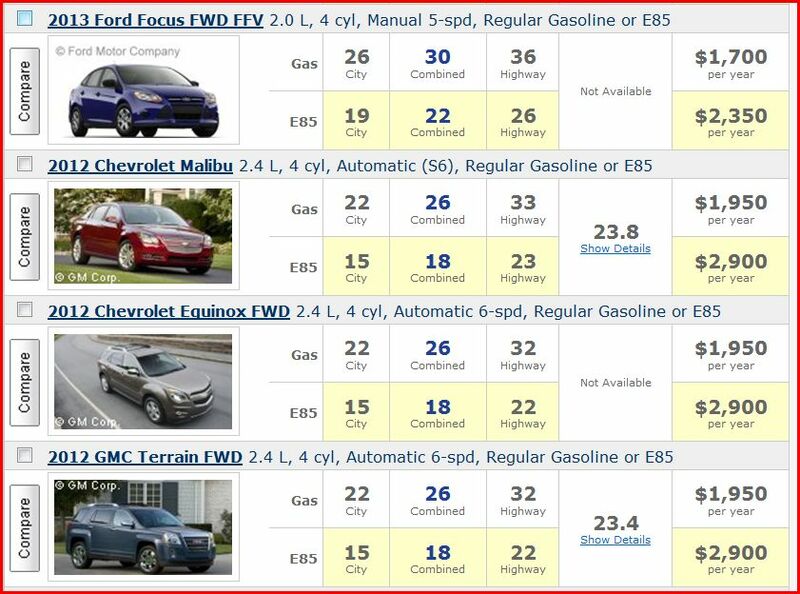 Responding to the anti-Renewable Fuel Standard Hill briefing discussed on this blog yesterday, Tom Buis, CEO of ethanol trade group Growth Energy, asserted that “homegrown American renewable energy provides consumers with a choice and savings” (Greenwire, subscription required). Rubbish. 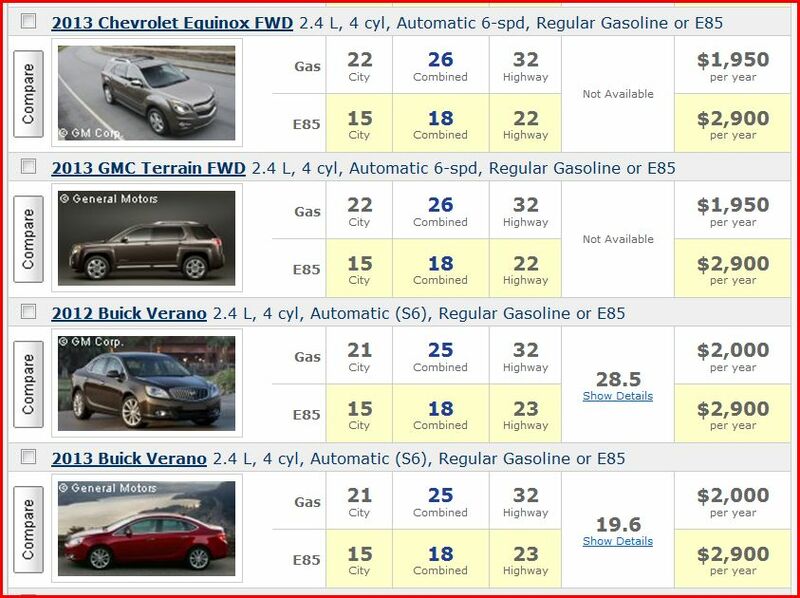 Under the Renewable Fuel Standard (RFS), ethanol consumption is a mandate, not a choice. 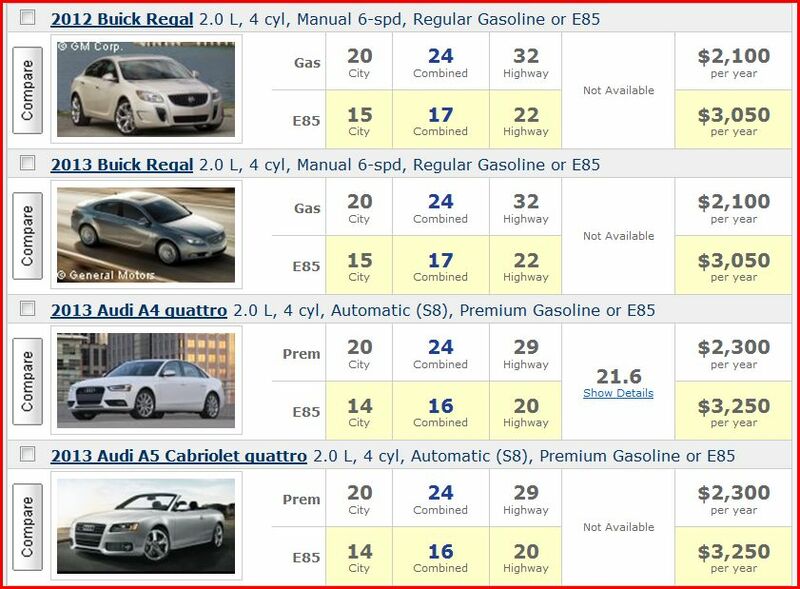 Buis’s claim that ethanol relieves pain at the pump sounds plausible because a gallon of ethanol is cheaper than a gallon of gasoline. 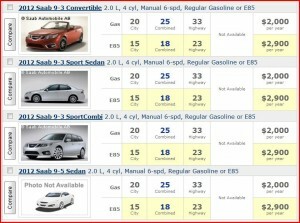 However, ethanol has about one-third less energy than gasoline and does not make up the difference in price. 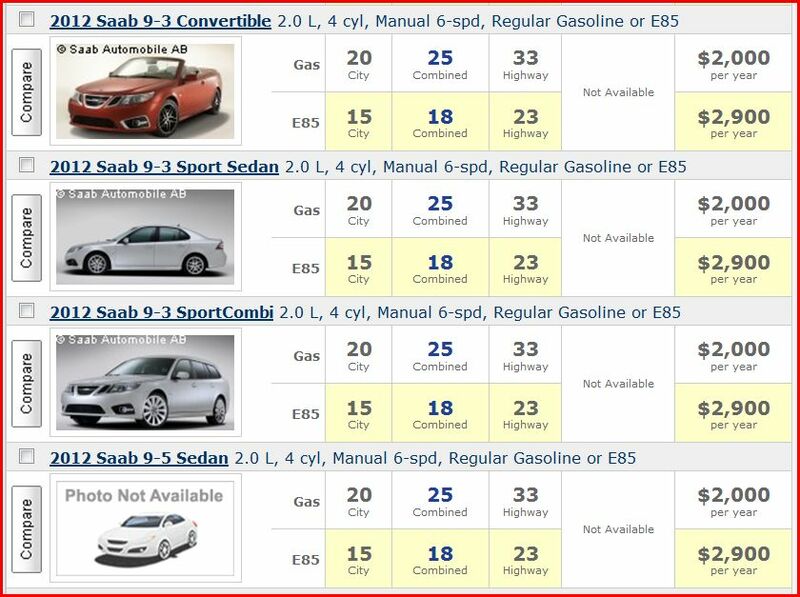 Consequently, the higher the ethanol blend, the worse mileage your car gets, and the more money you spend to drive a given distance. 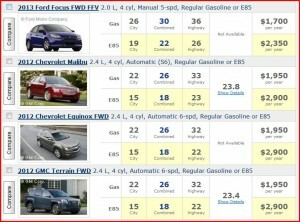 FuelEconomy.Gov, a Web site jointly administered by the U.S. Environmental Protection Agency (EPA) and the Department of Energy (DOE) calculates how much a typical motorist would spend in a year to fill up a flex-fuel vehicle with either E85 (motor fuel made with 85% ethanol) or regular gasoline. 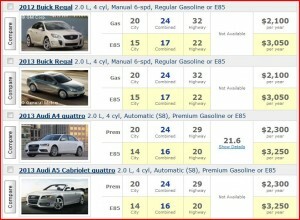 The exact bottom line changes as gasoline and ethanol prices change. The big picture, though, is always the same: Ethanol is a net money loser for the consumer. 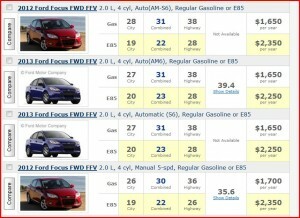 For example, at prices prevailing in late November 2012, it cost $500 more per year to drive on E85. 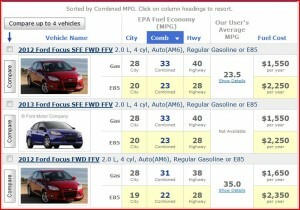 When I checked FuelEconomy.Gov last week, E85 cost the average motorist an additional $600 per year. A bad deal just got worse. 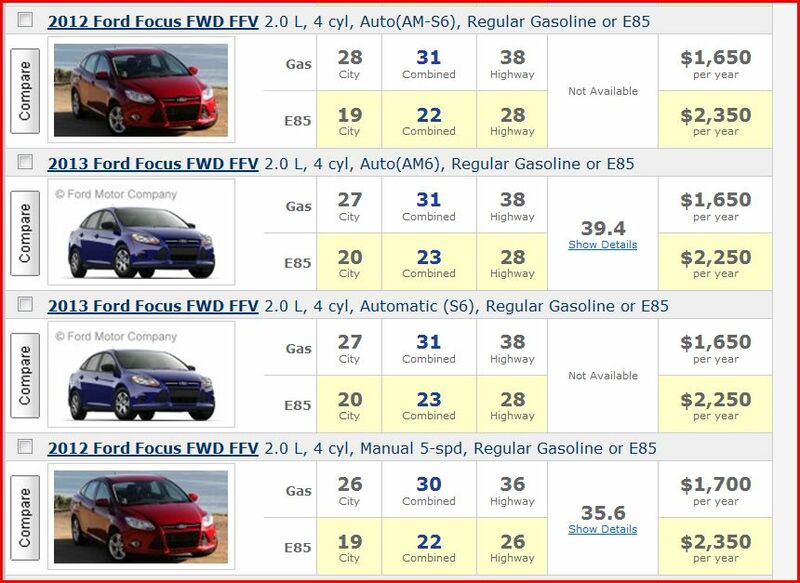 At today’s prices, it would cost an extra $700-$900 a year to switch from regular gasoline to E85. Some savings! 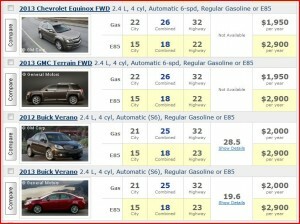 Small wonder that our ‘choice’ to buy ethanol must be mandated.